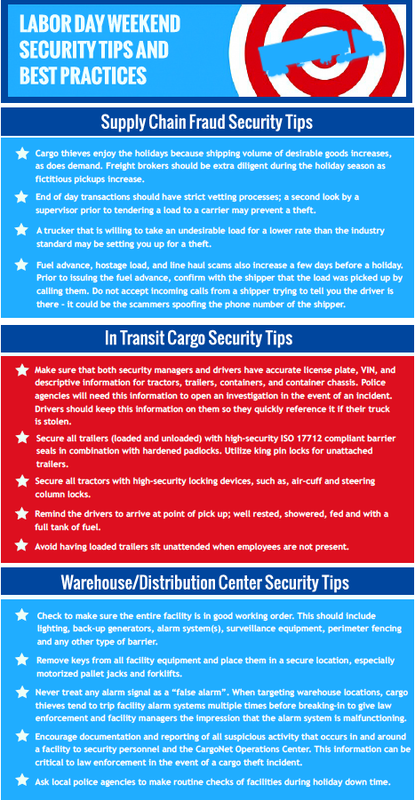 While holiday weekends provide a nice break for millions of employees nationwide, they are prime working hours for cargo thieves. Take a look at these tips for keeping your products and your business secure so that you can rest easy this Labor Day weekend. Read more about the issue at Overdrive.